Where to begin? I'm not even going to pretend I can bring anyone up to speed on the time and goings on since we last posted on this too-long-neglected website. I will share that there's a new album in the works that - if all goes well - should be out by the end of this year. And you can learn about it (and throw any support you can offer to our crowdsourcing effort) HERE. And/Or watch our video above, explaining the project. Well, for starters, we've neglected to mention that JJB launched a blog a couple months ago. It's separate from - don't confuse it with - the blog at the music-themed website here, where JJB will occasionally post music-only/-specific news and writing. 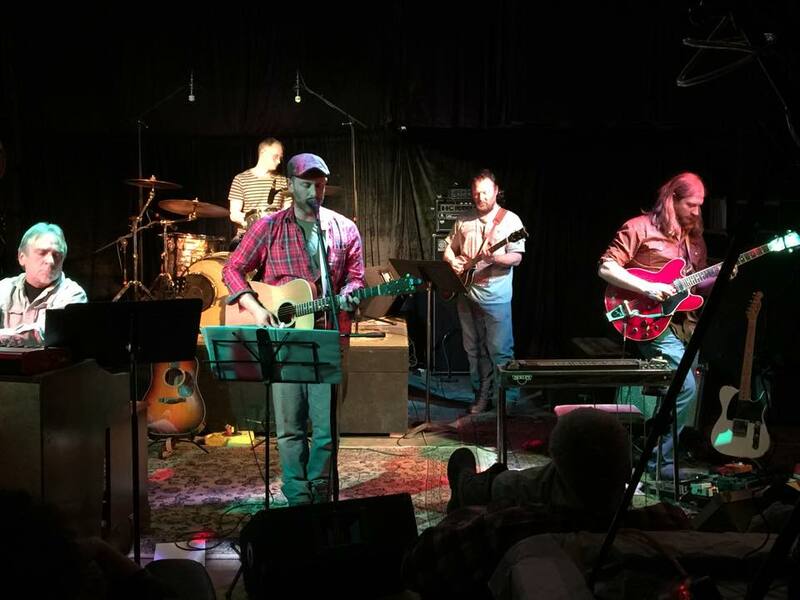 His Wordpress site, www.inbetweenthehours.com, is a space where Jonathan aims to weekly riff on the crossroads where his efforts as a father and a musician/writer intersect, crash, tangle, and strive to gracefully dance together. It's also a space where J is experimenting with photography - in the form of "photo essays" and similar projects. If nothing else, it's a space to play and freestyle as he waits for and seeks out new songs. 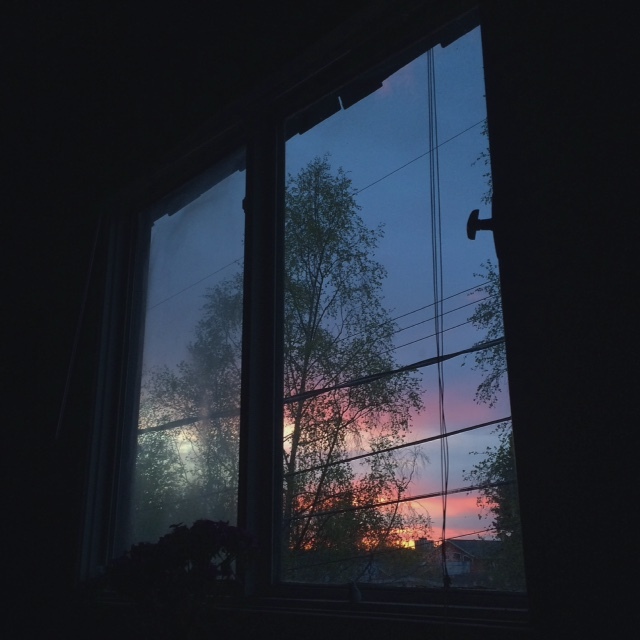 This week, Jonathan made for his readers (& listeners) a "mix tape," a playlist/soundtrack to accompany his essay on recent trips to LA, appearing in a local AK periodical, The Anchorage Press. You can find the "mix tape" here. Plug in your earbuds, and then head over and read "L.A. is for Love Affair," here. Spring is ON in AK, and we imagine the same proves true everywhere else, too. Hope the "L.A." mix tape proves good company as you wander in your sun-soaked daze, wherever it finds you. 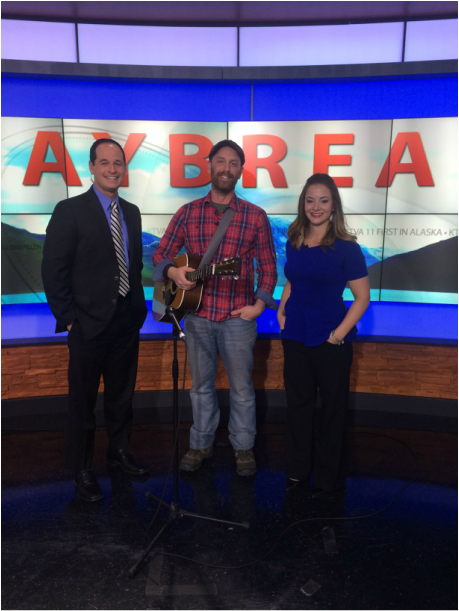 A few weeks back, AK/CA filmmaker, Tom Trainor, heard the "Hope, Alaska" album and reached out and offered to film a video for NPR's 2016 Tiny Desk Contest. I thought it'd be a fun opportunity to serve up an alternative version of one of the songs on the record. While I especially love the album version of "Nina Simone" over many of the other songs on the record, I also enjoy this "bar band" version of the tune that Marty, Aaron, Cameron (& Tom Bargelski, who's not appearing here) present in live settings. Give it a look, give it a listen - & many thanks to Tom Trainor & Jeremy Blake for their film work, to James Glaves for mixing everything, to Marty Severin for offering Studio 2200 for shooting, and to Aaron, Marty, & Cameron for driving this train with me...Enjoy! 1.) Purchase 'Hope, Alaska' on CD or mp3 at Bandcamp at the discounted holiday prices, & receive a free postcard packet (a $10 offer). Each pack of postcards features Michael Wilson​'s photos/album art, bookmarks feat. Nina Schmidt​'s "Dream/Nina Simone" painting, & album cover stickers. 2.) 'Hope, Alaska' American Apparel brand t's - all sizes - are available at $12 a pop at the holiday price. Order one b/w now & Solstice and get a free CD copy of 2012's EP, 'but so beautiful' and a 'Hope, Alaska' sticker. 3.) 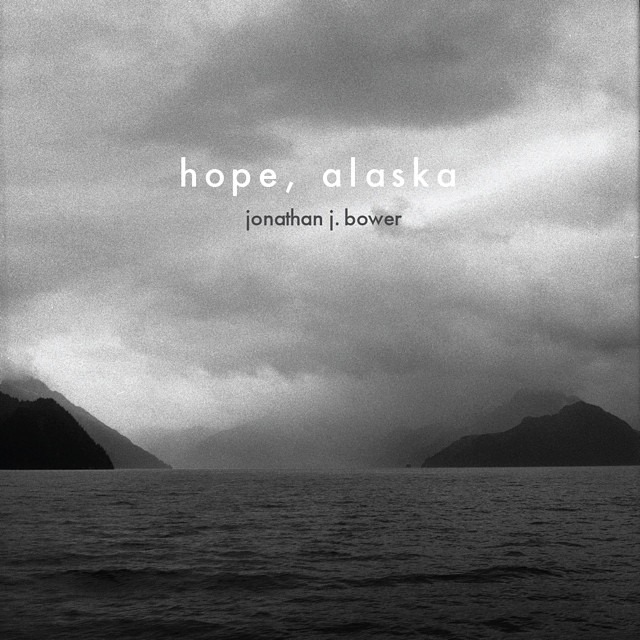 Order a t-shirt and 'Hope, Alaska' CD and receive a free copy of 2012's 'but so beautiful' & postcard packet. It's been great to meet and see folks on the road and out and about this past year, and - in the age of free music/everything - your support proves beyond words. Continued thanks for supporting good art and business when you're able, and here's to hoping we can share a few songs together in 2016. Happy Holidays! 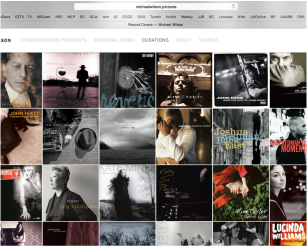 A casual stroll through the Cover Gallery at Michael Wilson's new website over the weekend found "Hope, Alaska" resting in such good company...Do yourself a favor and check out his new website when you have a chance. Take your time and wander around & let your eyes linger there a while...And Listen. Sit back and Listen - with your eyes...It's Music like no song you'll ever hear. ...Here's a memorable moment: In 1996, I'm working for Americorps, living 5 miles deep in the woods of New Hampshire. No running water, minimal electricity. Some of us go into Concord once or twice a week, partly to stay sane, as well as to stock up on creature comforts. I returned to the woods one afternoon with the newly-released Lyle Lovett record, "Road to Ensenada" and once back in my cabin, I popped it in my little boom box player and leaned into the lyric book. Somewhere in there, a picture caught my eye. I think Lyle was walking down a sun scorched highway in his boots. I did a little double take in my cabin and flipped over to the liner notes and fished through the credits. My hunch was correct: Michael Wilson​...Until then I'd only known of him as the guy whose photos appeared in Over the Rhine​'s work - their albums, postcards, t-shirts, etc. I always grabbed up as many pieces of his work as an OTR table would allow me &/or as much as I could afford. And to this day, his pictures have never stopped making my heart beat faster. 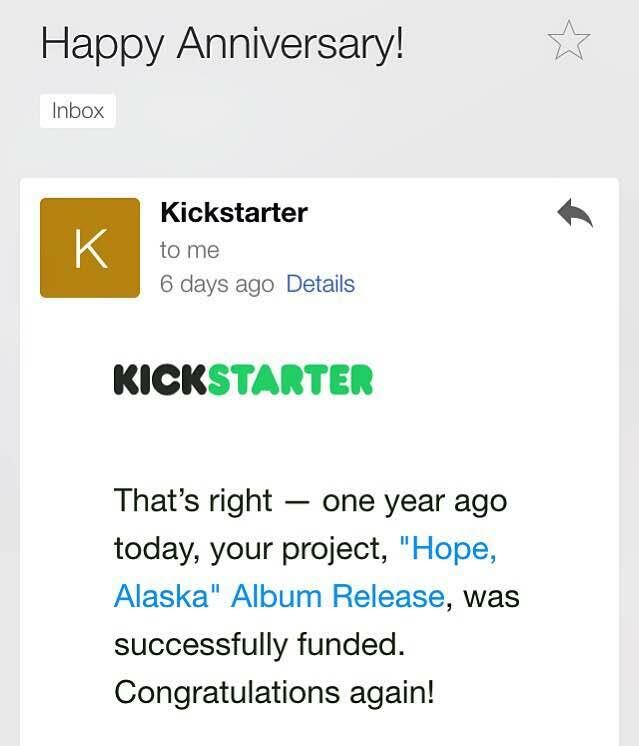 In 2013 - just days after writing & recording the last song, the title track for "Hope, Alaska" - an otherwise ordinary skim through FB turned up his AK photo album, prompting me to message him immediately about using his pictures for the record.....The moral of the story? I don't know - something you already know about how he does incredible work, and - yeah - also that dreams do come true. Artists and all brand of "Creatives" would do well to head over to this link here and read a great interview with the good sir, too. I enjoyed it heaps. This morning I'm remembering too well a time that I played a Nina Simone record thick in the midst of a difficult spell. I was living in Japan & can still recall so well the flood of feeling that powered thru me that day - a freight train of emotion, an unrelenting tidal surge of..."she knows, she knows...Nina's there." The places her hands & voice went...I finally watched the Netflix doc on Lady Simone last night. Haunting. On the day I've described in my memory, I was years from trying to write a song paying tribute to her. That song's the best I could do - a white singer/songwriter guy who can only, at best pine and long to go places vocally & musically that she went - but a shout-out/tribute/nod to the Queen all the same. The best I can/could muster...Summer's over, autumn's here, winter's on the way: "Honey, let's stay home & spin some Nina Simone..."
You can stream or purchase the song, "Nina Simone" - from last year's "Hope, Alaska" album - HERE. 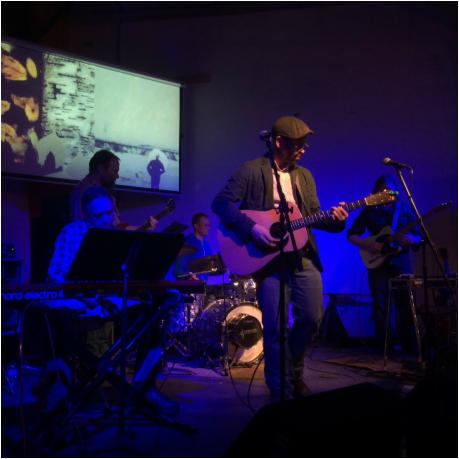 If you're interested, you can read another "Open Letter" to the Kickstarter backers in the "Blog" section above, reflecting on things such as AK winter, holiday season-specific gratitude, along with a couple musings on "what music means to me." etc. 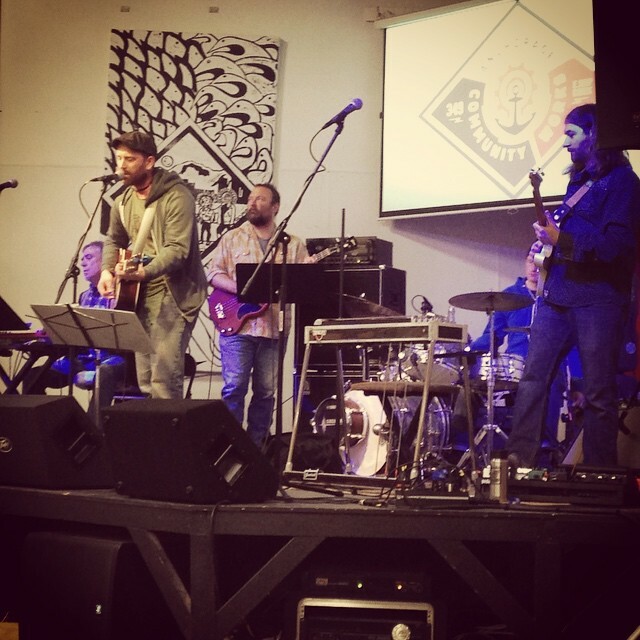 Meanwhile, thanks to all who came out & supported the JJB "Hope, Alaska" release shows this fall. Couldn't have imagined a better way to celebrate the release of the new album than to present the tunes with musicians Aaron Benolkin, Marty Severin, Cameron Cartland, and Tom Bargelski. We'll be aiming to play some more this winter, but in the meantime I'm lining up a few solo shows and house concerts. Stay tuned for details! 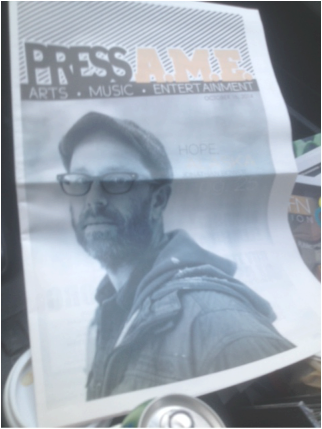 The Anchorage Press Reviews "Hope, Alaska"
"Hope, Alaska" received a generous review at The Anchorage Press this week, and - gulp! - the cover of the Arts & Entertainment section?!?! You can read the review here. Thank you to the AP - much appreciated. We've uploaded another song from the new album to the "Listening Booth." This one's called Joan Didion. Producing this song in 2013 became my introduction to Andy Tholberg, who co-produced it with Evan and me, and who just hasn't stopped blowing my mind since I tumbled down the rabbit hole of his solo work, along with his contributions to a diverse assortment of Alaskan bands and musicians. So, I sure hope you enjoy the song even just a fraction as much as I enjoyed putting it together with Evan, Andy, and James. Be well, and have a good night. 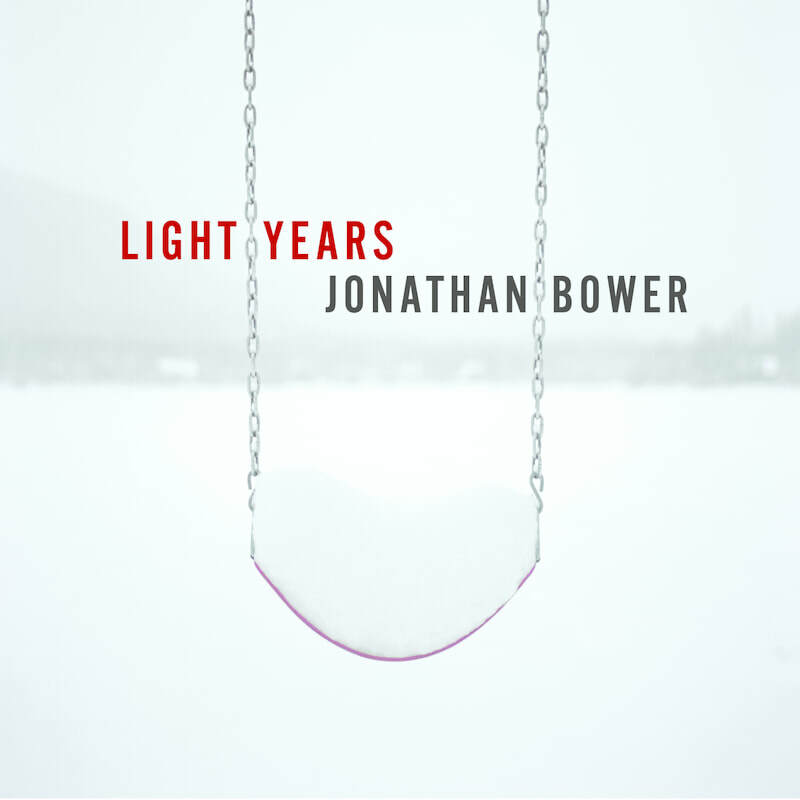 Welcome to the revised and updated Jonathan J. Bower website. A special thank you to Elizabeth Bradfield at Pelagic Design for working her magic, setting up shop, and capably walking this neurotic technophobe into my new residence in the cyber realm.